Introducing #imprompTuesdays. Tuesdays are now the day for impromptu public speaking. What? Why? A recent research paper by Mortaji indicates that holding a weekly, low pressure impromptu speech can both significantly reduce fear and at the same time improve skills. That’s great results from just doing a simple, actionable task. It doesn’t take a lot of time commitment. Each session can be short. There’s lots of ways to vary the task. It is, by design, different every time so it doesn’t get boring so quickly. However, it only works if you actually do it, repeatedly. Public speaking is one of things we avoid, so we need to stack the cards in our favor. One great way to do that is setting a specific day. So, from now on, Tuesdays are for impromptu speaking practice, a.k.a. #imprompTuesdays. Impromptu speaking is fairly common to find in the realm of public speaking training. Impromptu speaking provides some great benefits, like improving your skills at organizing your thoughts. This has critical carryover into much of your life. However, it challenges the speaker, e.g. making the situation harder by providing limited or no prep time. The intent of #impromTuesdays isn’t necessarily to challenge. Ideally you scale that challenge to the skill level. Our goal is to get consistent practice, without it taking up a lot of time. This way you can progressively overcome fear and build skills. If you already have a basis, it keeps your skills honed. If you are starting out, try to arrange lower stress situations. Try simply doing your impromptu speech with family, friends, or in VR; the stress of the unknown will be enough to start with. If your stress is high, even with people close to you, try making it into a game; expect and delight in laughter. Practicing in VR with something like Virtual Orator can be both low stress and low avoidance. If you’re doing good in low stress situations, try some higher stress situations. Other factors you can vary are how long prep time you give yourself. Don’t let it be any longer than 1 minute. The next factor is how long you’ll speak about the topic. I wouldn’t suggest more than 5 minutes for a weekly practice session. Set these beforehand. If your not sure, start with 30 seconds prep time and 3 minutes speaking time. In many speaking clubs short impromptu speeches are used as a way to improve skills, but also just to provide more opportunity to speak. If you are involved with a speaking club, this is definitely something you should thinking about doing with regularity. There are other ways to get your practice. First of all, you can get a topic every Tuesday by following via social media (follow us on ). We'll use the hashtag #imprompTuesdays. The topics will come to you, so there is no excuse. Depending on when you look at your social media, you could make this a Comfort Challenge and hold an impromptu speech wherever you are when you read it! We mentioned using friends, family, or even colleagues. This might just be a lower stress way to get your practice with #imprompTuesdays topics or it might be a recurring group event. Keep it game-like, so it is fun. 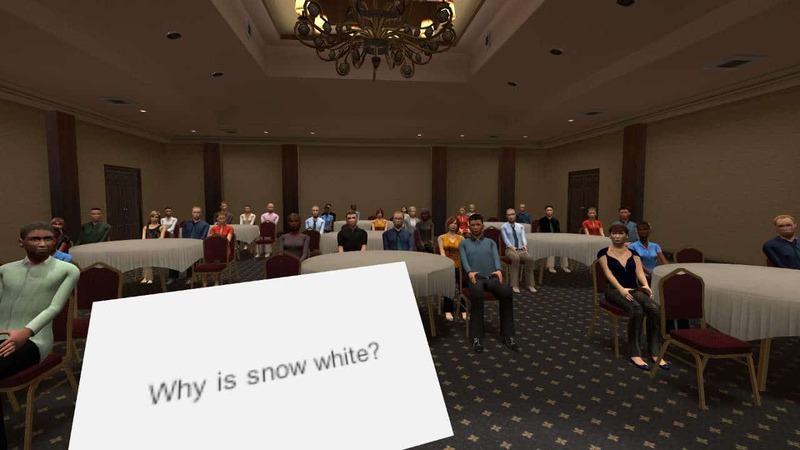 We've also added a new function in Virtual Orator, our VR base public speaking training software. Simply launch Virtual Orator with a random impromptu topic selected. When you start, your topic will be on a notecard in front of you and the audience will be waiting. #imprompTuesdays starts today. Yes, even if it isn’t Tuesday. Here’s your topic. You’ve got 30 seconds to prepare and GO.